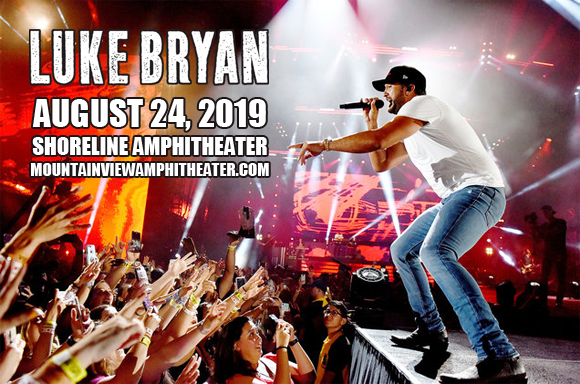 Four-time country Entertainer of the Year Luke Bryan comes to Shoreline Amphitheatre on Saturday 24th August 2019 on his Sunset Repeat Tour! The performer is known for his astounding arena and amphitheater tours that see him wowing fans with second-to-none production, energetic performances and plenty of surprises! Joining him will be Cole Swindell & Jon Langston in support! Chart-topping country music singer and songwriter Luke Bryan has charted 14 number-one singles since his debut as a performer. He began his career writing for other artists, such as Travis Tritt ("Honky-Tonk History") and Billy Currington ("Good Directions") before releasing his first single, "All My Friends Say", in 2007. He released his debut album, I'll Stay Me, later that year to critical and commercial success, winning numerous awards and launching Bryan as a star in his own right. Each of Bryan's six studio albums has charted in the top two of the Billboard Top Country Albums Chart, with four of them peaking at number-one, and three of his albums also hit the top spot on the Billboard 200. Tailgates & Tanlines (2011) and Crash My Party (2013) have both been certified 4x platinum by the RIAA, Kill the Lights (2015) is double-platinum, Doin' My Thing (2009) is platinum, and his debut album is certified gold. In 2013, Bryan was the recipient of both the Academy of Country Music Awards and Country Music Association Awards "Entertainer of the Year" award. His most recent release in 2017's What Makes You Country.